The Association of Proposal Management Professionals (APMP®), the only association for bid, proposal, business development, capture, and graphics professionals, is pleased to announce the 2019 class of 40-Under-40 award recipients. Recognizing proposal management professionals from around the world, APMP’s 40-Under-40 program celebrates recipients’ accomplishments to-date and future aspirations. APMP’s 40-Under-40 awards program recognizes contributors who are young but have already made a noticeable impression on their companies and the overall profession. Hailing from around the world, the 2019 class features proposal professionals noted for winning big, revamping processes, facilitating teamwork, and giving back to their communities. With more than 100 nominees this year, each one with an impressive resume of accomplishments, the selection was difficult. The winners will be acknowledged at APMP’s 2019 Bid & Proposal Con, the world’s largest annual gathering of bid and proposal management professionals, during the morning welcome on Wednesday, May 22. “This award is about celebrating our association’s younger professionals”, said Rick Harris, CEO, APMP. “This class and the ones before it represent APMP’s future and the industry’s promise. We can’t wait to meet them in Orlando,” he said. 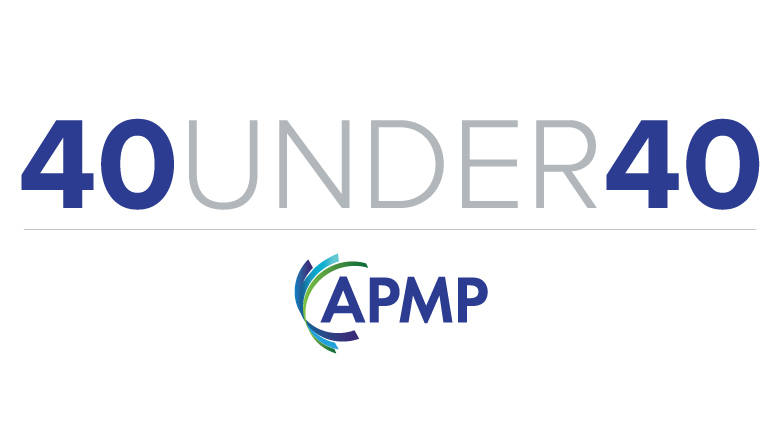 For more information, visit APMP’s 2019 40 Under 40 webpage.